Vitality is key to positive health. Yet so many manifestations of dis-ease can impede upon vitality. As a licensed Naturopathic primary care physician, I am trained in many approaches to addressing and transforming disease into vitality. You first visit with me will be in depth and will take at least 90 minutes. During this time, I will listen to your narrative taking a detailed history with a medical perspective. I will also conduct a nutritional physical and if necessary, order lab work. From here, we will create together, a map to wellness that will be very specific to your barriers to vitality. I am also happy to work with your current medical doctors or suggest referrals in order to create the best team and opportunity for optimal results. From the age of 5 growing up in Georgetown Guyana, I knew I was going to be a doctor and would follow in my grandmothers footsteps who was a healer. In the later part of 1995, my family and I were afforded the opportunity to immigrated to the United states which allowed me a better opportunity to achieve my dreams. In 2004, I completed my Bachelors of Science from Howard University. Simultaneously, I attended Heritage Institute where I studied massage and body work receiving my national certificate in massage therapy. Shortly thereafter, I attended American University obtaining a Master’s of science degree. I worked as a massage therapist during this period and while I was a gifted therapist, I knew I was not following my destiny fully. 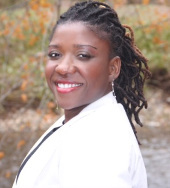 I therefore applied and was accepted to many schools and just as I was ready to accept my admittance to Howard University, I was introduced to and fell in love with Naturopathic medicine. For me, Naturopathic medicine just fit my views of a positive approach to health. It allows me to maintain the hands on approach to healing that my massage practice afforded me while giving me more opportunities to address disease in my community. Therefore in 2007 I enrolled at The National College of Natural Medicine, the oldest Naturopathic medical school in the USA and received a Doctorate in Natural Medicine followed by a residency at True North Medical clinic in Santa Rosa California in 2012. I love the medicine that I practice and I am thankful that my job is my passion. I pride myself as standing on the forefront of "wisdom medicine" - traditional, wisdom tested medicine with scientific basis.